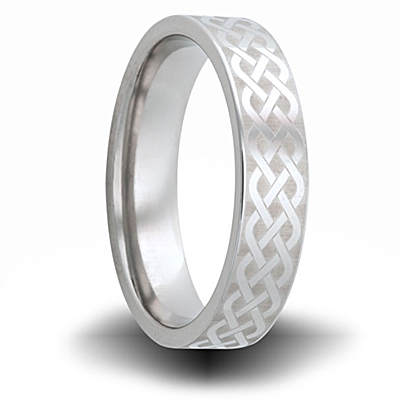 This titanium ring has a woven pattern laser engraved all the way around. Polished finish and flat center. Width: 6mm. Enjoy manufacturer's lifetime warranty for re-sizing and re-furbishing. Made of aircraft grade titanium in the USA. Deluxe comfort fit.